Tube generators date back to the 1930s, when the first power tubes were manufactured. 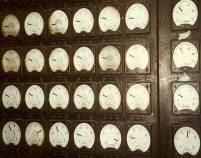 Only fifty years later did this technology begin to be gradually replaced by solid-state technology. In the interim a variety of generators and tubes were developed, many of which are still in operation today. However, in many cases the original tube types are no longer available and the varying parameters of the generators do not permit simple replacement with other types. In order to solve this problem the generators need to be adapted to take more modern tubes, a field in which ACI GmbH has a wealth of experience.Over the years we have modified generators with output powers ranging from 5 to 800 kW. Do you have an old generator but no tube to fit it? Then give us a call. We will find a solution. A classic tube is the RS 733, developed by Telefunken and manufactured by Siemens until well into the 1980s. Large numbers of these tubes were used for plastic welding. In many cases, however, the generator manufacturers disregarded fundamental RF design principles, causing parasitic oscillation and sparkovers. Modifying the generator to accommodate more modern tubes eliminates these problems. 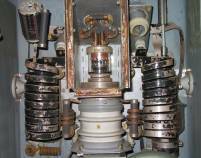 The Siemens triode RS 1061 L was used in the generator type HG6/6k1 also manufactured by Siemens. These generators are still used today in the furniture industry for glueing and drying wood. 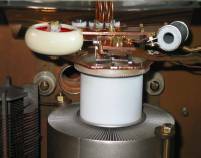 In modified generators the old glass tube RS 1061 L is replaced by a modern ceramic triode. In the process problems of parasitic oscillation are eliminated. The company performed a particularly difficult modification in Pittsburgh (Pennsylvania), where a push-pull generator dating from 1942 with 8 Westighouse-tubes of the type WL 5936 was modified to accommodate two RS 3500 CJ tubes. 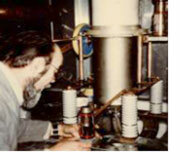 The generator was part of a tin-reflow facility. The risk of generator breakdown due to tube failure was considerably reduced by using a much smaller number of tubes. Generators of this output power class were not manufactured in Europe until much later.